The second instalment of Charleville and Courcey Rovers ended with Charleville digging deep in the last 10 minutes — plus three for stoppage — of this thoroughly enjoyable Cork Premier IHC final replay at Páirc Uí Rinn yesterday to seal their place in senior hurling for 2019. 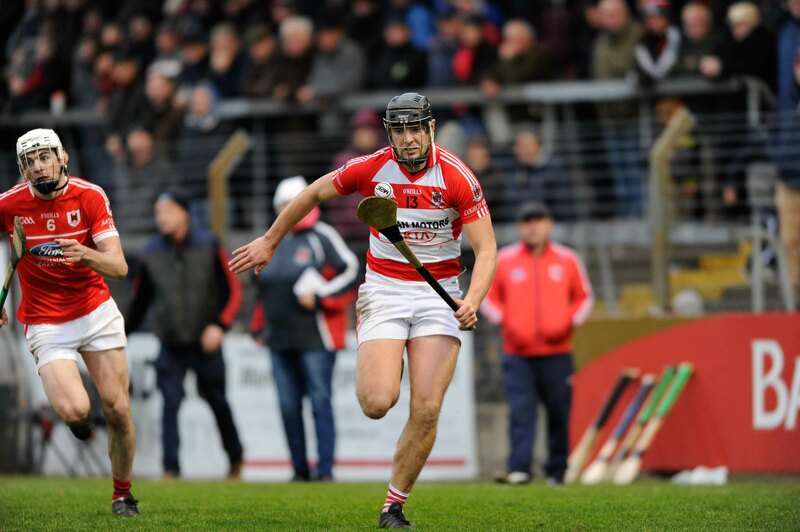 During the first meeting in Páirc Uí Chaoimh a week earlier, the north Cork side were disappointed not to have closed the game out, Courceys rallying to get a second chance. This Charleville team, who have won junior (2011), intermediate (2015) and Premier intermediate (2018), will join their neighbours Ballyhea and Newtownshandrum at the top table next year. The club did play senior championship between 1948 and 1952. In front of a big crowd, both sides threw themselves into the fray again, momentum tilting one way and then the other. Courcey Rovers took the lead for the first time at 0-10 to 0-9 at the three-quarter mark. 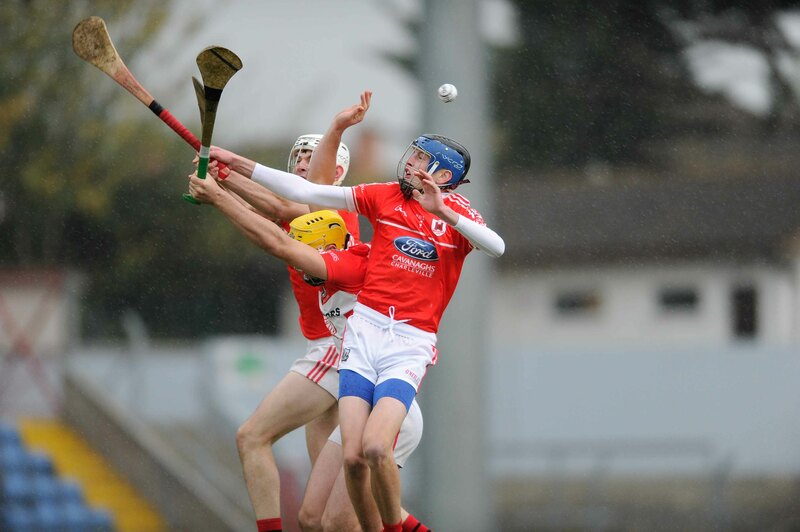 Then, they went two points ahead and Charleville needed someone to stand up, and who better than Darragh Fitzgibbon. Regular free-taker Mark Kavanagh had been substituted but the Cork star stood over four pressure frees and cool as ice slotted them over. Charleville back in front, and while Courcey Rovers – who dropped down from senior in 2015 — injected every last ounce of pride and energy into the contest, they just couldn’t achieve parity. Maybe their third replay in a row caught up with them. Fitzgibbon said, “When Mark went off I was roaring over to the line what were we doing taking off a free-taker. But, thank God they went over. We won a dogged battle today and that is the most pleasing thing of all. Growing up we were looking at Ballyhea and Newtownshandrum playing senior. It is unbelievable to think we will be playing with the best. We are a big town. Newtown and Ballyhea are just villages and we are looking at them all along and now to be competing with them is amazing. There was one change to each team. Charleville brought in Kevin O’Connor who had been suspended (younger brother of coach Ben), while John McCarthy started for Courcey Rovers. The opening 30 minutes was equally divided. Charleville finding their feet, moving 0-6 to 0-2 up after the first quarter, with some great point-taking from O’Connor (2), Kavanagh (2), Andrew Cagney and captain Daniel O’Flynn. However, Courcey Rovers owned the second period. Tadgh O’Sullivan converted his third free, then we had a monster from Jerry O’Neill, Sean Twomey and John McCarthy. They had levelled up 0-6 apiece. But Charleville just about managed to keep their noses in front when Jack Doyle pointed on the stroke of half-time (0-7 to 0-6). Eight minutes into the second-half, Courceys turned this match around again, having amassed three points to Charleville’s two, 0-9 apiece – they also had nine wides each. Those scores included points from O’Sullivan (0-7 total) and Sean Twomey, while Cagney and Tim Hawe obliged for Charleville. Both very much in the hunt; both playing out of their skins. Courceys made a decisive move with Killian Moloney and Jerry O’Neill (fabulous sideline cut) pointing. Two to the good now on 48 minutes. Then up stepped Fitzgibbon — tightly marked for the hour by Dan Lordan, to slot over those four crucial frees. An energised Charleville now 0-11 to 0-9 in the ascendancy. O’Sullivan pegged one back before Jack Buckley and Cagney made it a two-point game once more. Two Nyhan frees reduced the deficit to the minimum, but it was a goal they needed. It took all of Charleville’s resilience to hold out and finally ensure Danny O’Flynn got his hands on the Seamus Long Cup. Scorers for Charleville: D Fitzgibbon (0-4 frees), A Cagney (0-3), M Kavanagh (frees) and K O’Connor (0-2 each), T Hawe, J Doyle, J Buckley, D O’Flynn (0-1 each). Scorers for Courcey Rovers: T O’Sullivan (0-7 frees), S Nyhan (0-2 frees), J O’Neill (0-2, 0-1 sl), K Moloney, S Twomey and J McCarthy (0-1 each). CHARLEVILLE: C Collins; D Butler, J Meade, F Cagney; A Dennehy, J Buckley, C Carroll; J O’Callaghan, K O’Connor; D Fitzgibbon, J Doyle, M Kavanagh; A Cagney, D O’Flynn (Capt), T Hawe. Subs: D Casey for M Kavanagh (40). COURCEY ROVERS: S Nyhan; M Collins, B Collins, K Collins; S McCarthy, D Duggan, D Lordan (Capt); B Mulcahy, K Moloney; S Twomey, T O’Sullivan, G Moloney; J McCarthy, F Lordan, J O’Neill. Subs: M O’Donovan for F Lordan (half-time), C Daly for G Moloney (50).